Using a telescope containing unique X-ray mirrors, a team from NASA's Marshall Space Flight Center in Huntsville, Ala., has obtained the world's first focused high-energy X-ray images of any astronomical object. "This is the first step toward opening the high-energy, or 'hard,' X-ray spectrum for high sensitivity exploration," said Dr. Brian Ramsey, lead scientist for the High Energy Replicated Optics (HERO) project. " Every time a new wavelength region of the electromagnetic spectrum is opened with more sensitive instruments there are surprises and new discoveries. Until now, the only images obtained in this spectral region have been collected by non-focusing detectors with much lower sensitivity." Focusing -- concentrating the X-rays onto a very small area of a detector, such as a telescope does -- prevents the signal from being overwhelmed by the background noise. 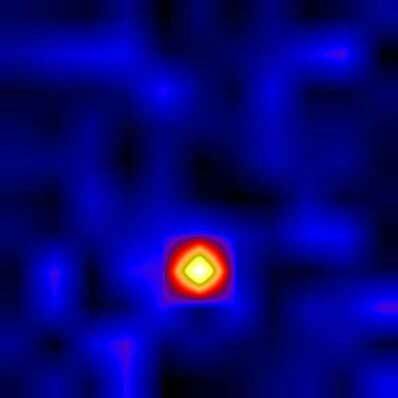 This has never been accomplished in observations of the high-energy X-ray spectrum, until now. "The ability to collect focused hard X-ray images has the potential of allowing us to observe objects in the heavens which are 10 to 100 times fainter than those which can be detected with current instruments," Ramsey said. "This development gives us new eyes - enabling new understanding about our violent universe." The HERO team launched the experimental telescope on May 23, 2001, from Fort Sumner, N.M., using a 40 million cubic-foot (1.1 million cubic-meter) balloon that carried the payload to an altitude of 128,000 feet (39,000 meters). At this altitude, the telescope is above 99.7 percent of Earth's atmosphere, which absorbs X-rays and many other wavelengths of electromagnetic radiation. During its 24-hour flight, Ramsey and his team used the telescope to study cosmic X-ray sources including the Crab Nebula and the Cygnus X-1 binary star system. The telescope collected the images using six X-ray reflecting mirrors fabricated at the Marshall Center. The mirrors, a special type called "grazing incidence," are nested cylinders with extremely smooth inner surfaces that reflect high-energy X-rays at very shallow angles. The mirrors were made with a replication technique using a special nickel alloy developed at the Marshall Center. Replication employs reusable forms, called mandrels, to make telescope mirrors that require no final finishing. With replication, multiple mirror shells can be made from a single master. Without replication, X-ray mirrors must be custom-made, one at a time. 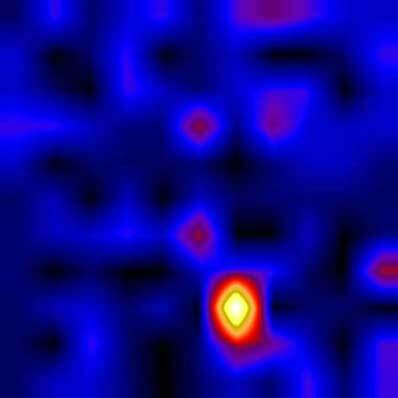 Since the 1970s, X-ray telescopes have collected images at low X-ray energies, sometimes called "soft" X-rays. The most sensitive soft-X-ray telescope is NASA's Chandra X-ray Observatory, managed by the Marshall Center. "This is an historic breakthrough," said Martin Weisskopf, project scientist for Chandra. "Collecting the very first focused hard X-ray images of cosmic X-ray sources is an exciting milestone for X-ray astronomy as a whole." The full planned HERO science payload, scheduled for completion in 2003, will consist of 240 mirrors, which will provide approximately 50 times greater sensitivity than this year's proof-of-concept mission.